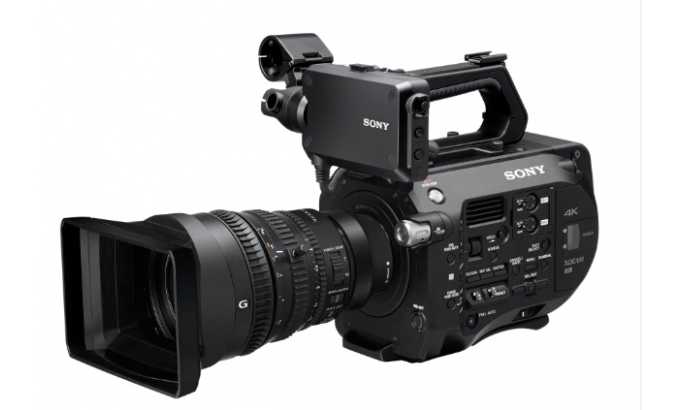 Okay, you've probably already heard that Sony has decided to go all-in on support for Super 35mm independent filmmaking with the brand new $7999 4K/60p PXW-FS7 camcorder, announced at IBC 2014 overnight (press release here, specs here). From the specs and early hands-on videos from Sony Professional and Cinema 5D (see below for early video) - the FS7 appears to be a full-on frontal assault on the more expensive Canon C300 (which is currently marked down from $13,999 to $11,999). And with the FS7's $1999 XDCA-FS7 Extension Unit and its ability to output ProRes and RAW (shown in the images below), it becomes a $20,000 Canon C500 killer too. With this camera, independent filmmakers will be able to rent a $10,000 camera (a quarter of the price of an Arri Amira), throw it over their shoulders and go out and record directly to 4K without a bunch of external recorders or rigging. My guess is that a lot of news organizations will buy this camera too, especially if, as expected, it works seamlessly with the SELP 18-200 power zoom. Sony deserves a lot of credit here. 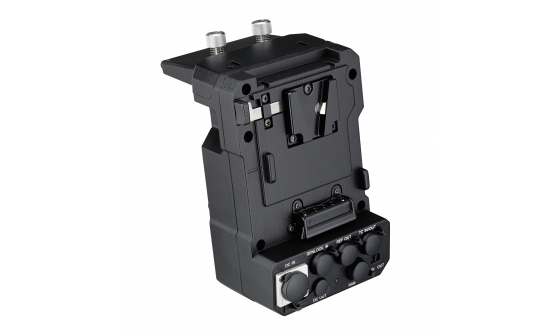 Not only for reclaiming the entry-level Super 35 lead from Canon - but for listening to users' complaints about the ergonomics of the NEX-FS700, with its top mounted LCD and boxy form factor. 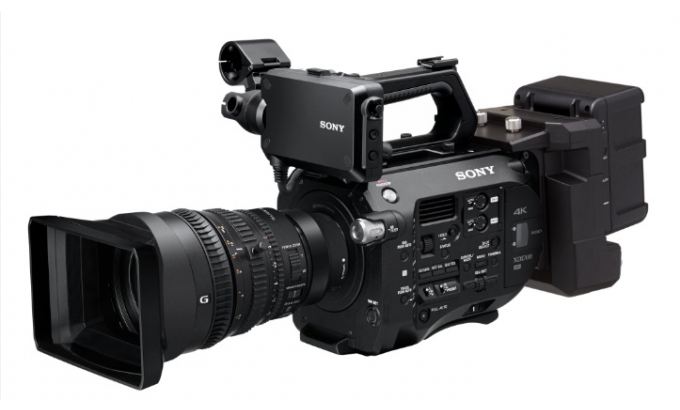 They also deserve credit for being willing to cannibalize the sales of their own FS700 and PMW-F5 - offering a higher-spec shoulder mounted camera with built-in 4K at a lower price point. In my view, this will earn them a lot of loyalty from consumers - and, in the long run, will be more profitable than Canon's strategy of "protecting the high end by crippling the entry level". Early video from this camera is solid, and the demonstrations of the built-in shoulder mount and control grip in the hands on videos are impressive. These features are not only extremely useful, they will save shooters a lot of money because they won't have to spend thousands of extra dollars on third party shoulder mounts and control grips. It seems to me that the only downside to this camera is the lack of a global shutter and internal RAW recording - features available on the sub-$3000 Blackmagic Production Camera. But those omissions are offset by the thoughtful ergonomics, a proven professional codec and an upgrade path to true 4K in 2015. In my view, this camera is well worth the $8000 list price - and is the first camcorder that has tempted me to sell all of my Panasonic GH cameras. Well done, Sony. If anything here has helped you to make a purchase decision, please shop using the links above or the displays below and in the margins. It won't cost you anything extra, and it will help to keep these posts coming. And for the latest deals, news, tips and techniques, please follow HCR on Blogger, Twitter and YouTube and circle us on Google+ Thanks for your support of the revolution!